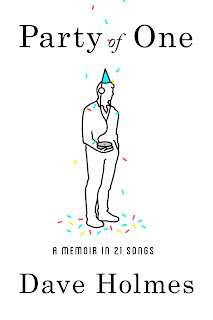 As a huge just-can’t-get-enough fan of MTV-related books like I Want My MTV and VJ, I must admit that I was really excited when I first heard that former MTV VJ Dave Holmes was going to write a memoir. Not only did I appreciate the encyclopedic everyman combo he exuded during his tenure at the network throughout the late 1990s and early 2000s, but I was also confident in the man’s writing ability after years of following his post-MTV pursuits as a columnist/essayist/contributor for publications like Esquire, GQ, Rolling Stone, New York Magazine, Vulture, and more. As it seemed that I had always wanted his writings to go on just a little bit longer than his articles ever did, knowing that I could finally look forward to a bookful of his stories and insights was music to my ears. Party of One takes on the dual responsibility of being Holmes’ first book and also a memoir, so it’s almost like he’s stepping out of his comfort zone and putting himself out there twice. Luckily, he backs it up with prose that is equal parts witty and introspective, stories that are achingly honest and charmingly endearing, and enough splashes of 80s-90s-00s pop culture nostalgia to have readers connecting with Holmes like a long lost friend they’ve never actually met. I mean, his tagging of a paragraph referencing Pearl Jam’s “Elderly Woman Behind the Counter in a Small Town” with the sentence “You and SWV will be back harmonizing over Fruitopias before you know it” almost had me sending the man a far-too-fanboying email. Holmes’ engaging storytelling ability is on full display in Party of One as he details his life as the self-described odd man out – growing up as “the artsy son in a sporty family,” navigating through an all-boys high school and a Catholic college as the “closeted gay kid surrounded by crushworthy straight guys,” turning his unfulfilling ad agency career into an accidental-yet-rewarding MTV VJ gig (via a contest in which he placed second) – and they are all expertly woven around mini asides that expound on the music and pop culture easter eggs Holmes sprinkles throughout his tales. Tagged as “Interludes” with titles like “Seven Pieces of Pop Culture That Prevented Me from Leading a Normal Life” and “The Ten Most Important Videos from My Tenure at TRL,” these listicle-like mini-chapter provide nice segues between Holmes more intimate chapters. Much like those 90s soundtracks that include dialogue from the film/show between each song, these interludes provide additional context to sweeten and solidify the whole. There’s even one named “All Right, You Jackals, Here Are Some Stories About Famous People” because where else would the Dave and Kid Rock in a hot tub type stories go? 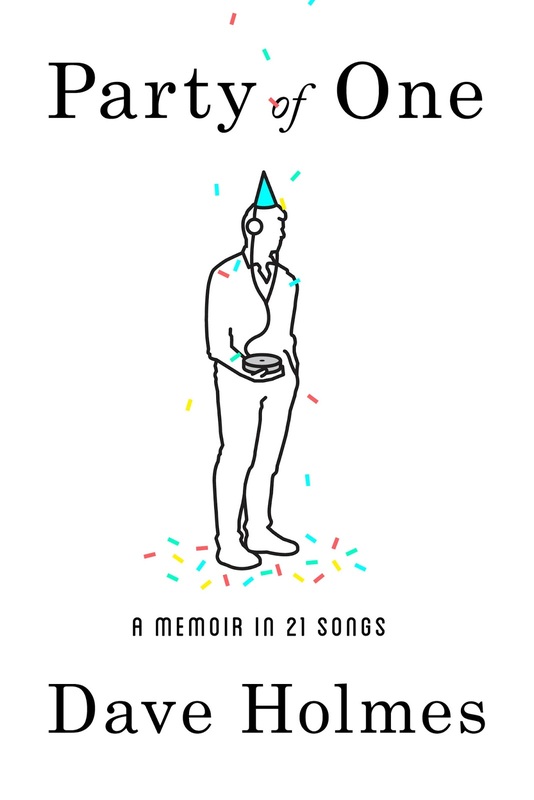 For anyone who dug Holmes during his MTV days or has followed his writing-hosting-acting endeavors of the last decade or so, Party of One is a fantastic look into Holmes journey from feeling like he was on the outside looking in, to actually being on the inside and kind of wanting back out, to finally just accepting himself wherever he may be. While Party of One isn’t necessarily written to be inspirational, it’s certainly an unintended consequence of Holmes’ lethal humor-and-honesty writing style. Here’s hoping there’s an after-Party of One already in the works.